The Israel Antiquities Authority’s Antiquities Theft Prevention Unit protects Israel’s ancient sites from looting and oversees antiquities commerce in Israel. The Antiquities Theft Prevention Unit works tirelessly to protect Israel’s heritage from being lost to illegal and destructive theft. Most of the Unit’s inspectors have degrees in archaeology and were served in the Israel Defense Force (IDF). Three members are former IDF special intelligence agents who now use their training to acquire information about illegal activities surrounding the antiquities market. The Unit also employs a cyber expert who covertly monitors and investigates suspicious internet activity. The team relies on technology and remote surveillance equipment to monitor antiquities sites. They also collaborate with a network of international agencies including Interpol and U.S. Homeland Security. At the heart of the Middle Eastern antiquities market, the department is recognized as a global expert in understanding and monitoring the trade in antiquities. 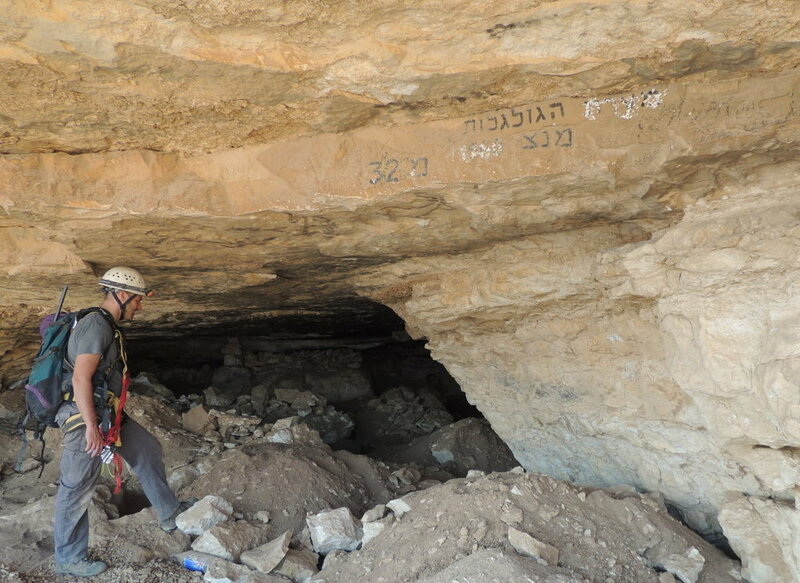 Antiquities theft in Israel is conducted by organized gangs headed by “contractors” or “Rais.” Operating under the Rais, hundreds of workers dig illegally at pre-determined antiquities sites. The Rais chooses a different location each night to avoid detection. The artifacts they steal are sold through a chain of middlemen and dealers until they end up in the hands of tourists, collectors, and museums. Digging equipment seized from a gang of looters caught by The Unit in 'Skulls Cave'. Inspecting 'Skulls Cave' in the Judean Desert after catching a gang looting remains within. Destruction caused by looters using a JCB in Khirbet Dvora. Roman Sarcophagus in Western Galilee. A Looted Roman Burial cave with burial altar close to Caesarea. Archaeological sites destroyed by robbers afford no possibility for archaeological research. Since looters are looking only for artifacts which can be sold, their digging disregards the original chronological stratigraphy which represents thousands of years of habitation. Moreover, when artifacts (such as coins, pottery and glass objects) are stolen from a site, it is almost impossible for archaeologists to study its material culture and historical significance. Israel has over 30,000 known antiquities sites, including marine locations. In order to monitor and protect such a vast number of sites, the IAA’s Antiquities Theft Prevention Unit collaborates with a network of local informants and international agencies. According to Eitan Klein, Deputy Director, about 20,000 artifacts from Israel are traded each year. In accordance with Israel’s Law of Antiquities, only artifacts discovered prior to 1978 are legal to sell. However, looters exploit the market by laundering their stolen finds into dealers’ inventories. One of the unit’s primary tasks is to inspect antiquities shops and to monitor the market, recovering illegally obtained artifacts and prosecuting perpetrators. As the only country in the Middle East with a legal antiquities market, Israel has become a transit country for antiquities. Artifacts are not only robbed from within Israel but are also smuggled from neighboring countries to be laundered into the market. The Antiquities Theft Prevention Unit not only protects its own antiquities and archaeological sites, but also identifies and returns antiquities smuggled illegally from other countries. 'Year 4 for the destruction of Beit Israel' Papyrus, 140 CE – Seized by The Unit in the antiquities market. Two Egyptian sarcophagi lids – seized in the antiquities market and returned to Egypt. A roman marble head of Minerva - Seized in the antiquities market and supposed to be returned to Libya. Gold pendant from a burial cave near Caesarea. Neolithic mask recovered by The Unit in 2018. Metal Detector Licensing - Today it is illegal to use a metal detector or to even have one while at an antiquity site. Still, the devices are often used illegally to find artifacts. The Unit is working modify the regulations so that all metal detector owners are licensed and obligated to abide by Israel’s Law of Antiquities. Ending the Antiquities Market - Although the IAA’s Antiquities Theft Prevention Unit has succeeded in lowering the number of looting incidents over the past 15 in years, it recognize there is a direct link between the antiquities market and looting of antiquity sites. The Unit is working to end Israel’s antiquities trade. With over 30,000 antiquities sites to protect the team relies on technology to maintain remote surveillance. Listed below are resources the Unit has requested in order to conduct their work with excellence. Funding for salvage excavations to rescue looted sites. Funding for a joint conference between the IAA and U.S. Homeland Security, with the objective to discuss antiquities looting and illicit trafficking, and to strengthen international cooperation. Ronit Lupu of the IAA’s Theft Prevention Unit shows a rare, Neolithic stone mask recovered by the Theft Prevention Unit in 2018.